Rootbeer is one of those things that brings back a special memory in our house. 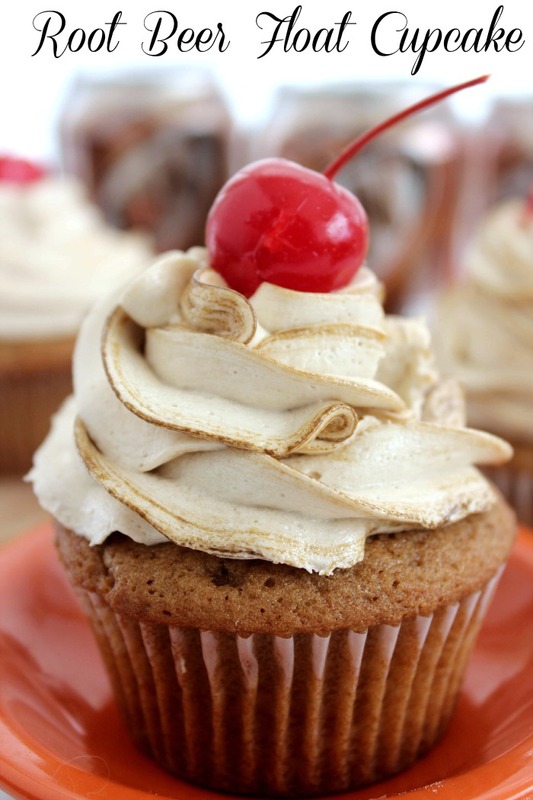 For that reason alone I love this Root Beer Float Cupcake Recipe. The memory goes like this: My husband, daughter, and I were at Panda Express. My daughter was probably 3-4 years old at the time and we had ordered her a kids meal. She got to choose what she wanted to drink and she said, “Daddy I want Fruit Beer!” So in our house it isn’t Root Beer it is Fruit Beer! Mix in eggs, root beer extract and vanilla. Gradually add in flour and root beer until just combined. Fill each cup about ⅔ full. Cool in pan for 10 minutes before transferring to wire rack to cool completely. Whip butter, root beer extract and vanilla for frosting until fluffy. Add root beer until you reach desired consistency. Top with a cherry and cut straw (optional). What are some other unique cupcake flavors you have tried and loved? Wow this Is a great cupcake recipe for a movie theme night or party. And who doesn’t love root beer float flavor. Delicious. How yum is this? I would love to make some of the cupcakes. I usually stick with the same ol’ boring classics like red velvet or chocolate. This recipe will broaden my horizons. Mmmmmm, I’m getting hungry just looking at this! It sounds amazing and I bet it tastes soo good! You know I see this late at night and now I want one ! This looks good, and I know hubby would love it because he likes floats. Honestly, nowdays I dont much make cakes or cupcakes, I buy them now and then (one or two at a time) so I havent tried any new cupcakes for a while. Holy cow!!! I need these! I love root beer floats, these cupcakes sound amazing! This recipe sounds amazing, I used to live in a small town and we only had one chain restaurant which was a & w and I always loved the root beer in the frosted mugs so this sounds great to me. Thanks. This sounds so delicious, I love root beer so I know I would love these too! Thanks for linking up at the Creative Collection Link Party! 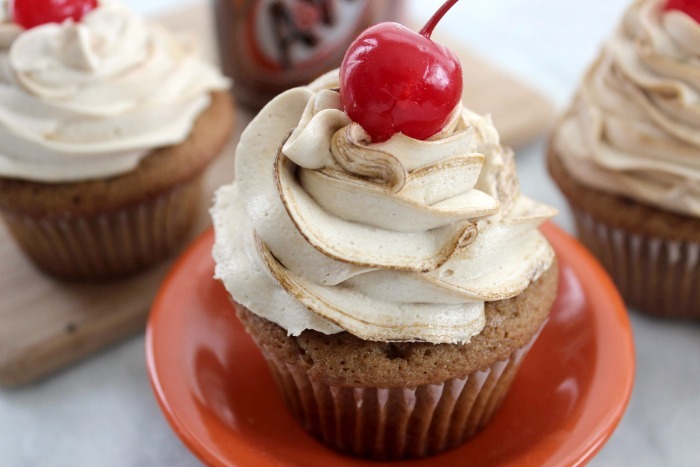 What a great cupcake treat, we will just love your Root Beer Float Cupcakes! Hope you are having a great week and thanks so much for sharing with Full Plate Thursday. I love root beer floats and cupcakes are my weakness…so the two together sounds like the perfect treat! I’d love if you stopped by to share this at our Creative Inspiration party tonight at 8pm CST. These cupcakes look glorious! Brings back the memories of going to the Root Beer Stand. Yum! Thanks for sharing, visiting from Treasure Box Tuesday. Oooo these are so pretty. I’ve never had a root beer as it isn’t a big thing in England but I just know I’d love these. I look forward to trying out your cupcake recipe. Root beer has always been my favorite drink. The only time my mom bought pre-sweeten Kool-Aid was when it came in root beer flavor. I enjoyed your story as well. I had a similar experience with my 1st daughter. We were heading to Del Taco and she said, “Mom, I want some “roof” beer. It took a long time to get her to say it correctly. I have many fond memories of having root beer floats with my dad as a kid. I love the idea of making cupcakes with them as root beer is actually really good in baking. I rarely drink soda, but root beer (and cream soda) is on my top two list of sodas to drink. This cupcake caught my attention. 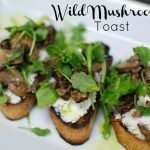 It looks lovely and sounds delicious! This looks absolutely phenomenal! I love the edging on the icing… It makes it look like a real float! This tugs at my heart strings and reminds me of when I was a kid. Thank you so much for sharing! I never heard of root beer concentrate before – I’d love to get some and make these!!!! They sound dynamite! I don’t ever think of this flavor as a cupcake flavor, but what a delicious idea and recipe! Would love to try it! How many does this yield??? This is an awesome flavorfor a cup cake. Colleen, this cupcake is so pretty! Love that it is root beer flavored! So glad you came to my party today. How yummy! My oldest son would love these! I’ll be pinning this for later. Yum! I can’t wait to give these a try. 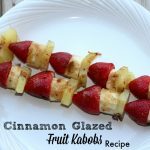 They will definitely be a hit for our summer parties, that’s for sure! I have a wonderful rootbeer cookie recipe I’ve been using for years so something new will be wonderful. These cupcakes look delicious! I know my kids will love them! I am a root beer lover too, and these are awesome looking! Thank you for linking up and sharing at Celebrate It! I am not a root beer lover, but my son and husband are absolute fans. Maybe I can surprise them and make these…they look like something they would love! Thanks for sharing! These looks amazing! Pinned for future use! What a yummy cupcake, it looks awesome! Thanks so much for sharing with Full Plate Thursday and have a fantastic day! I love root beer- and cupcakes- so this is right up my alley. It looks delicious! Thanks for linking up to the Handmade Hangout! I’ll be featuring your project on my blog (www.occasionallycrafty.com) when the new linky goes live today at 6pm ET. I hope you’ll stop by again and link up! Hi! 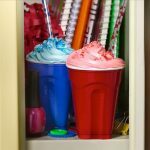 We are having a root beer float themed birthday party in April, and I was wondering if this is a high altitude friendly recipe, or if you’d by chance have a recommendation on the adjustments? Thank you very much! I can’t wait to make these, my daughter is going to love them!! 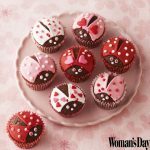 This cupcake recipe is cute and looks yummy. Oh my gosh… Is this a real recipe? It looks heavenly. I am literally drooling. How many cupcakes does this yield? Thank you!!! 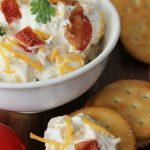 These would be perfect for the Fourth of July party we’re going to! My sister and I just went to A & W and had a root beer float.